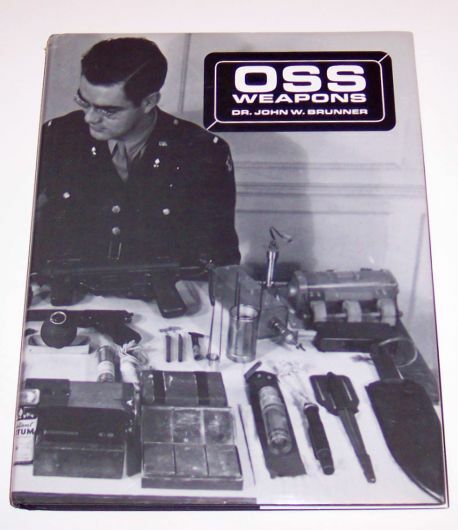 Click for larger photo Source: Personal Collection "OSS Weapons" - 1994 Written by Dr. John Brunner, this comprehensive book on OSS weapons has the following entry - "This new book is the result of exhaustive research in the recently declassified files of the "Office of Strategic Services". 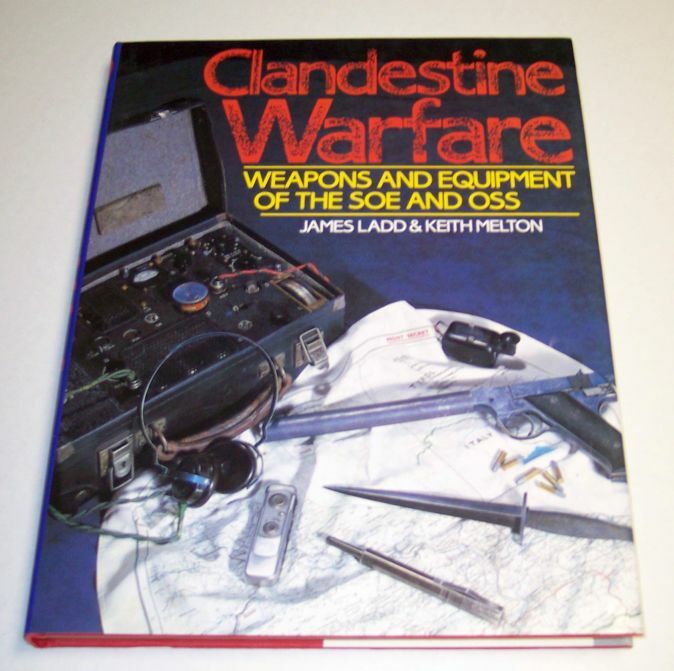 For the first time, a wealth of information on the weapons actually developed and used by that agency is now available to the public - from silenced weapons to explosive devices. 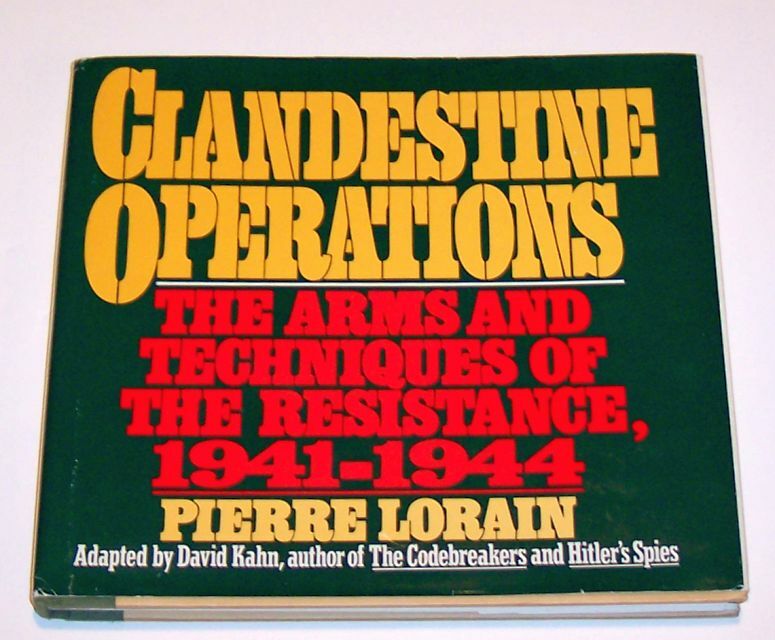 Even some information withheld by the CIA is included here due to the diligent efforts of the author, himself a member of the OSS in the CBI and later an agent in the Far East. 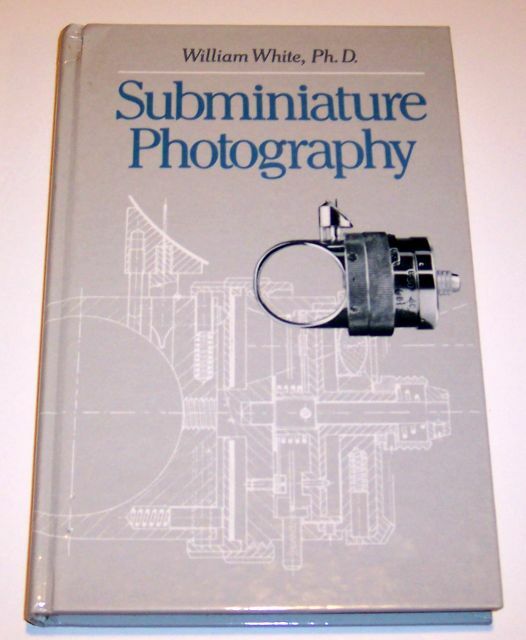 This hardbound volume is filled with high quality photos of all devices. 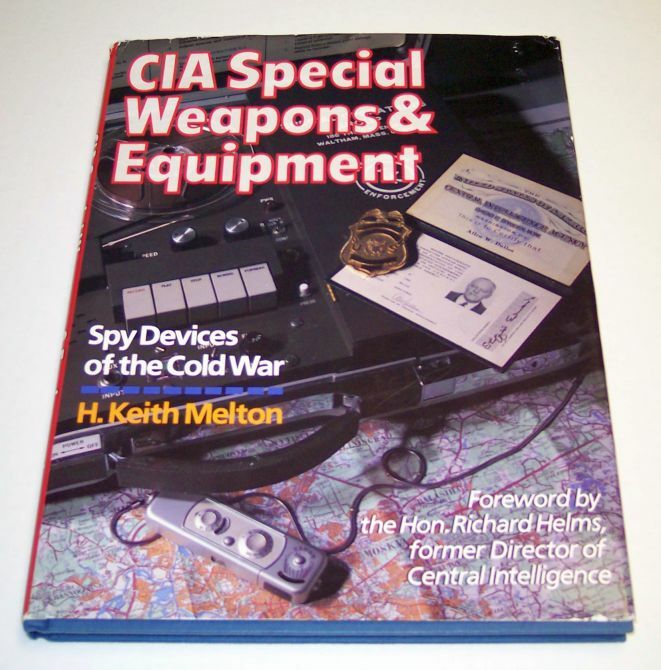 This edition puts to rest once and for all the myths and misconceptions of what weapons and devices this secret agency actually used. It is both a personal and scholarly book, and will stand as the definitive work on the subject. 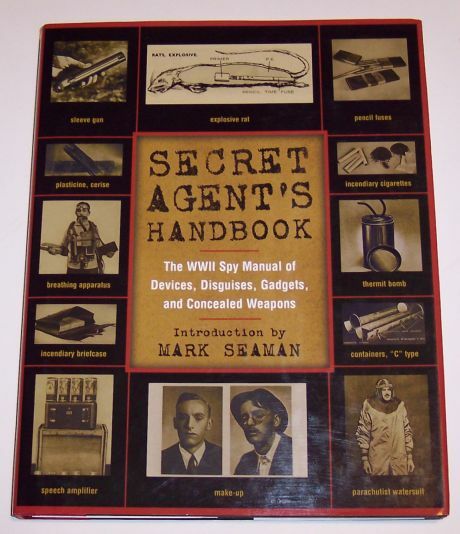 Click for larger photo Source: Personal Collection "Secret Agent's Handbook" - The WWII Spy Manual of Devices, Disguises, Gadgets, and Concealed Weapons - 2001 With introduction by Mark Seaman and published in 2001, this comprehensive book covering clandestine equipment especially that used by the S.O.E. 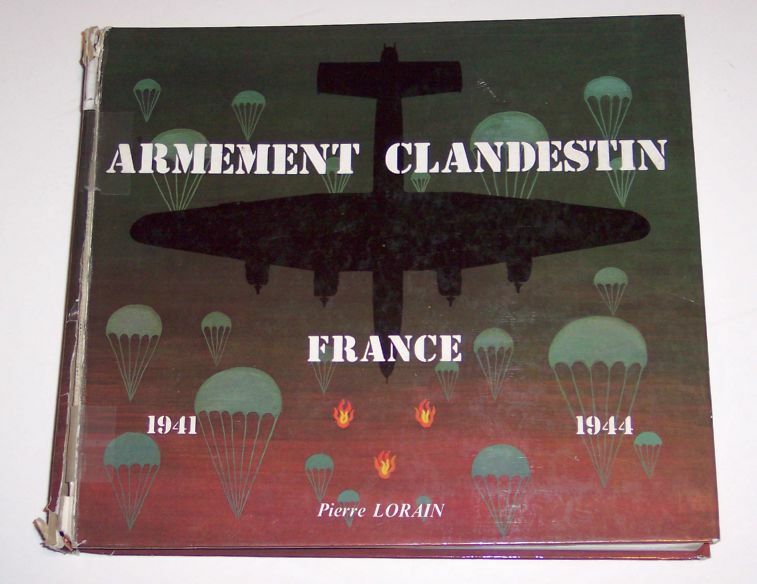 (Strategic Operations Executive) during the Second World War. Here is part of the flap write-up - "Have you ever fantasized about what it would be like to be a secret agent? A super-spy? To have at your disposal the wild gadgets seen movies like Mission Impossible and in the James Bond series? ... 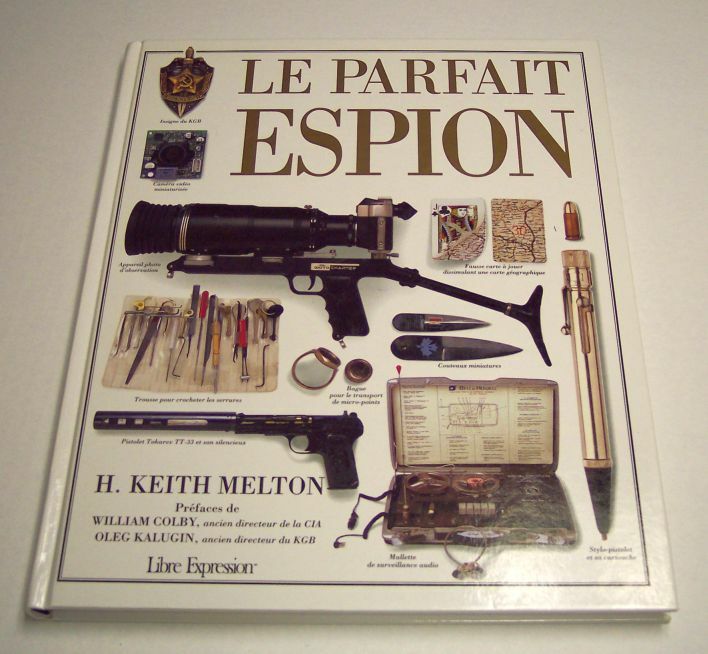 This intriguing collection includeds the equipment that secret agents used - such wild devices as exploding rats and Chianti bottles, shoes that leave barefoot prints, incendiary briefcases and cigarettes - as well as the deadliest of weapons. Each item is featured with a photograph or illustration and is described in detail. 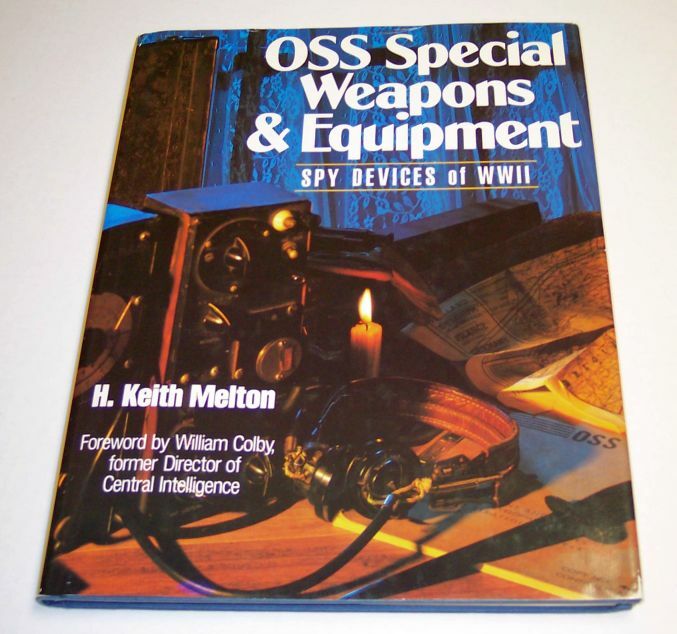 Also included are full instructions for use and information as to how they were utilized on real-life spy missions. 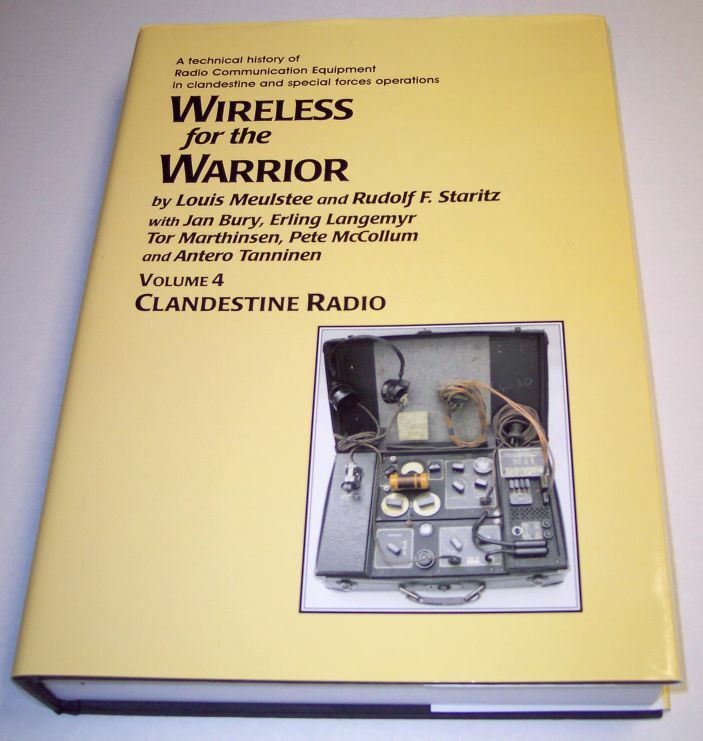 Louis Meulstee's website on Volume 4 Clandestine Radios. CIA Museum including artifacts from Keith Melton. Wikipedia entry on the SOE. Wikipedia entry on the OSS. 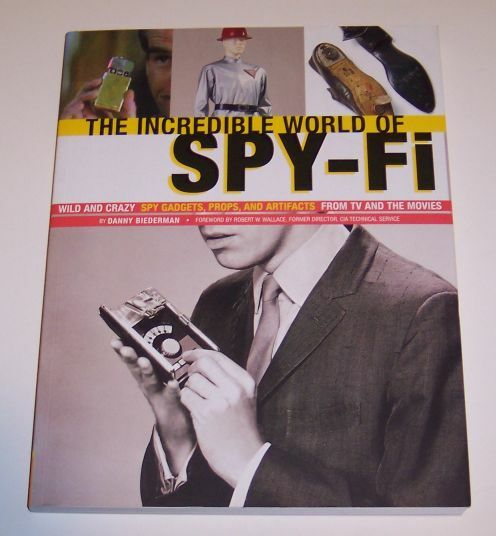 Click for larger photo Source: Personal Collection "The Incredible World of Spy-Fi" - 2004. 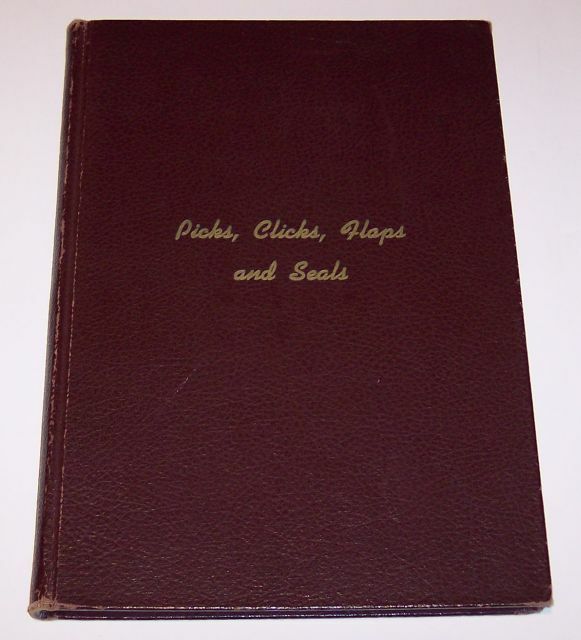 Written by Danny Biederman, this 159-page book was published by Chronicle Books and is well illustrated. It has the following entry - "Here, for the very first time, Biederman profiles over 200 of his coolest, most captivating gadgets and images, offering juicy trivia and insider stories on each piece. Featuring sections on James Bond, The Man from U.N.C.L.E., Get Smart, The Wild Wild West, Mission: Impossible, Alias, and more. The Incredible World of Spy-Fi is positively overflowing with insight and intrigue. 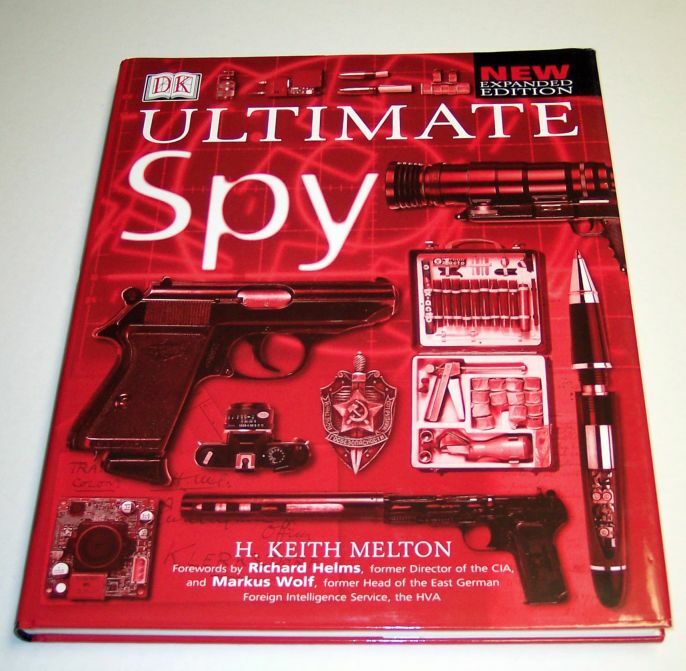 With a foreword by Robert W. Wallace, former director of the CIA division that creates real spy gadgets for intelligence operatives to use in the field today, this is the definitive book on the golden age of spies." 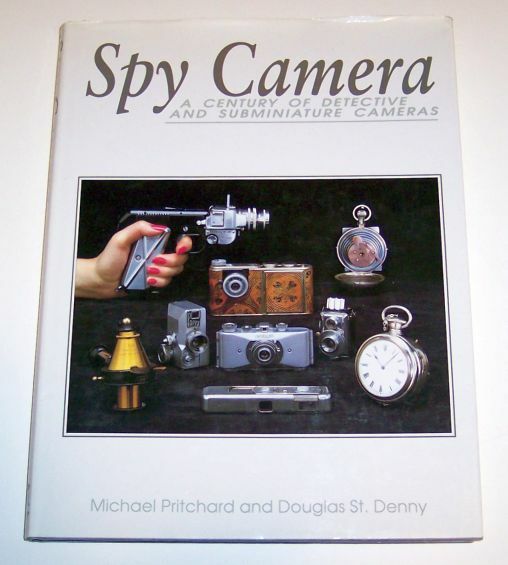 Click for larger photo Source: Personal Collection "Spy Cameras - A Century of Detective and Subminiature Cameras - 1993. Written by Michael Pritchard and Douglas St. Denny, this book contains 198 pages and is well illustrated. It has the following entry - "The fall of the Berlin Wall led to an increased fascination with spies and espionage in general. 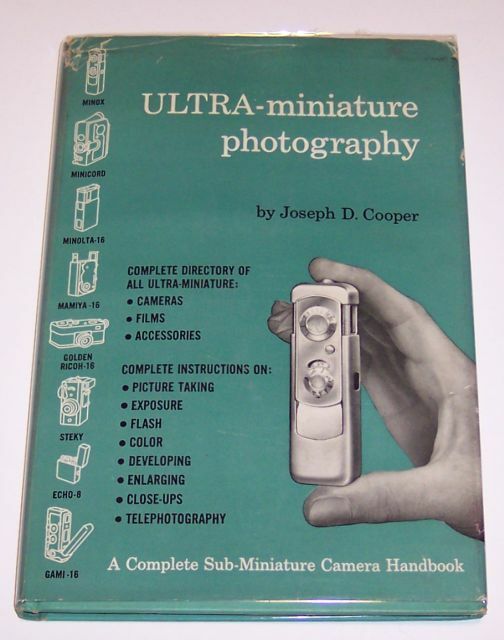 The 1989 150th anniversary of photography generated a tremendous interest in cameras. 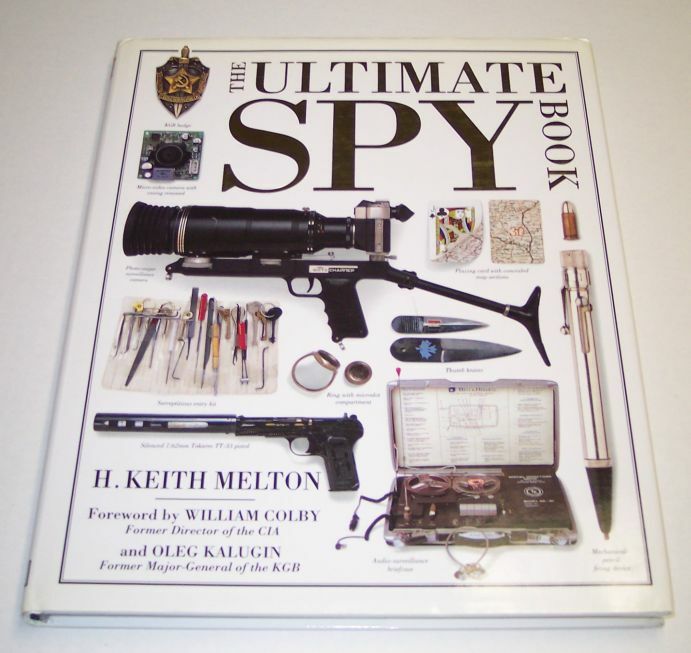 Each event comes together in this book, which celebrates a unique auction of spy cameras held at Christie's in London on 9th December 1991." Click for larger photo Source: Personal Collection "Les Appareils Photographiques d'Espionnage - 1978. Publié en 1978 et écrit par Michel Auer et Eaton S. Lothrop, ce livre inclut le passage suivant - "... Comme il est surprenant de voir le nombre et la diversité des appareils de ce type réalisés depuis leur origine, il y a 120 ans! Spécialiament conçus pour ressembler extérieurement à n'importe quel objet d'usage courant, toujours prêts à l'emploi, fixant sur le vif, en un "instantané" le mouvement ou le repos, ces appareils représentent une véritable révolution dans l'histoire de la photographie. 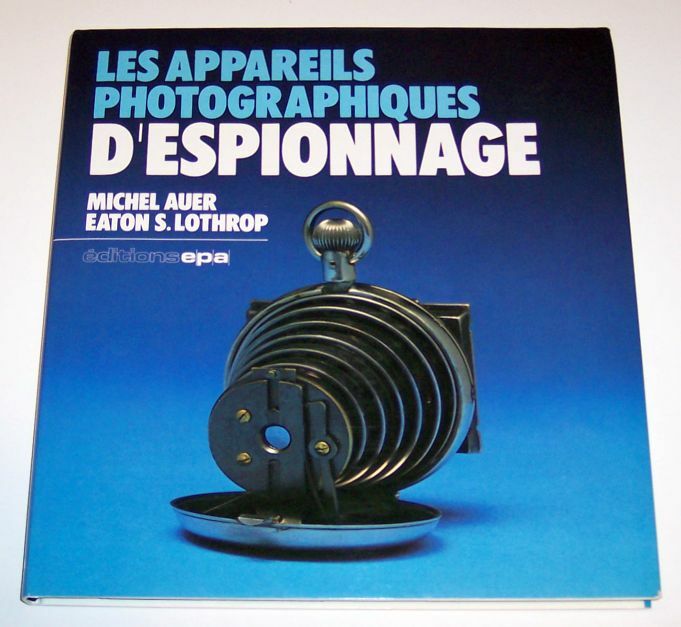 Ils témoignent en effet non seulement de l'ingéniosité débordante de leurs inventeurs mais aussi de progrès techniques incessants ..."
Click for larger photo Source: Personal Collection "L'Oeil Espion" - Appareils photographiques d'espionnage et miniatures - Octobre 2002. Publié en 2001 et écrit par Patrick Ghnassia, ce livre inclut le passage suivant - "Prendre des photos sans que le sujet s'en doute est une variante qui est pratiquement aussi agée que la photographie elle-même ... Il suffit de regarder ces gravures datant de la fin du 19ième siècle : un homme semble absorbé par la contemplation d'un voilier au loin, mais ses jumelles dissimulent un appareil photo qui "tire dans le coin" et photographie les jolies baigneuses sur le côté. C'est le début de la dissimulation des mécanismes et surfaces sensibles, à l'intérieur de presque n'importe quel objet usuel: chapeau, cravate, veston, montre, canne, briquet, boîte d'allumettes, cigarettes, jumelles, longue-vue, livre, stylo, radio, revolver, sac, valise, etc... Ce livre vous propose une promenade à travers les créations délirantes de la photographie en douce, depuis le temps du gélatino-bromure d'argent jusqu'aux mini capteurs numériques." 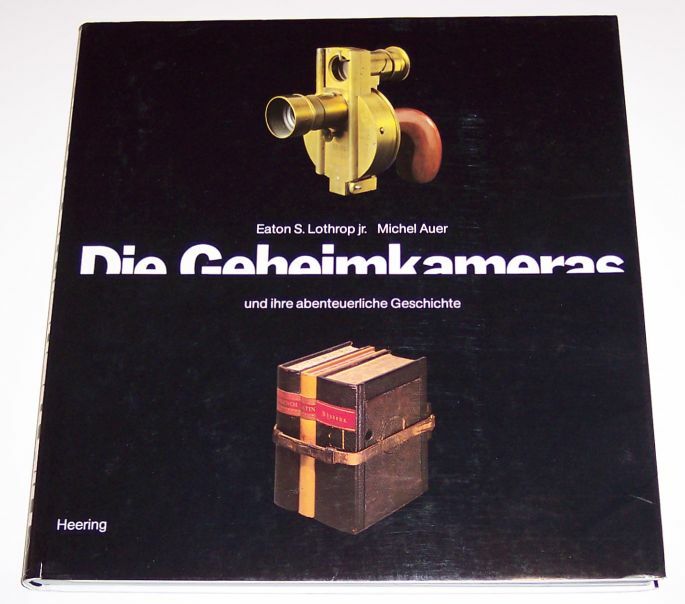 Click for larger photo Source: Personal Collection "Die Geheimkameras" - German book on Spy Cameras - 1978. 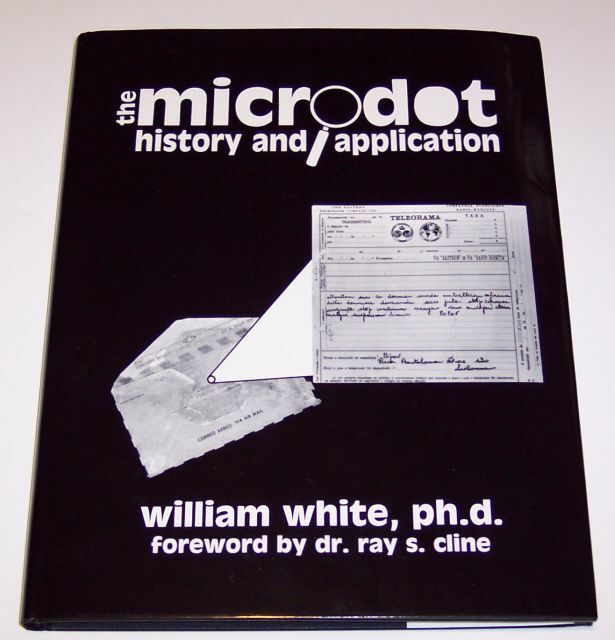 Written by Michel Auer and Eaton S. Lothrop jr, this German book on spy cameras has the following entry - "... Die Geschichte der Geheimkameras gibt gleichzeitig einen tiefen Eingblick in die Gesellsschaftsformen ihrer Zeit. Es ist die Zeit des heimlichen Beobachtens und unaufdringlich scheinenden Beobachters. Es war nicht schnicklich, offen seine Absichten zu zeigen. Da baute man Kameras in Hüte, Spazierstöcke oder auch Krawattennadeln ein, um "heimlich" ein Bild der Angebeteten aufnehmen zu können. Da schaute man mit vermeintlichen Ferngläsern in "falsche" Richtungen, um im Winkel von 90 Grad "um die Ecke" zue fotografieren, weil anders kein Foto "ohne Belästigung" hätte aufgenommen werden können ..."